All Florenza homes currently listed for sale in Peoria as of 04/19/2019 are shown below. You can change the search criteria at any time by pressing the 'Change Search' button below. "Stunning 5 bed/3.5 bath open and split floor plan within walking distance to Basis Peoria Primary and Secondary schools/Peoria School District. New gated community. Upgrades galore! Gourmet kitchen with extra-large island and extended staggered cabinets, spa like master bath with rain head shower, upgraded bathroom cabinets and countertops throughout, 10 ft coffered ceilings, 5'' baseboards, 8 ft doors, upgraded flooring throughout (no carpet! 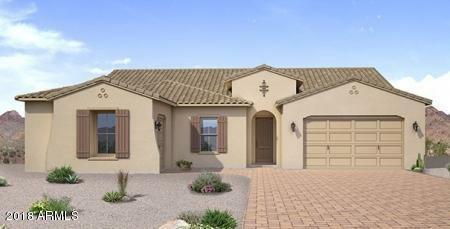 ), shutters throughout, bonus/teen/media room, walk i"
"Over $11,000 of Options at NO Cost! New Energy Efficient Home being built with anticipated completion date of May-June 2019. 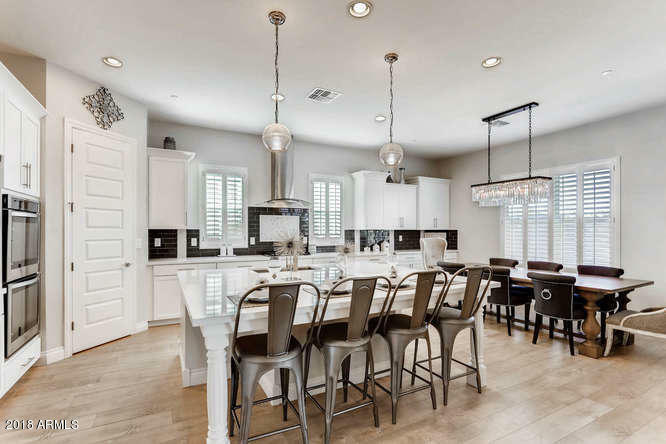 Popular Madison floor plan with expansive open spaces, 10' and 12' ceilings throughout, Master Chef kitchen, oversized island with granite countertops, silk cabinets throughout and wood flooring running throughout the main areas, 4 bedrooms, great room, den, and a 3 car garage makes this a must see."